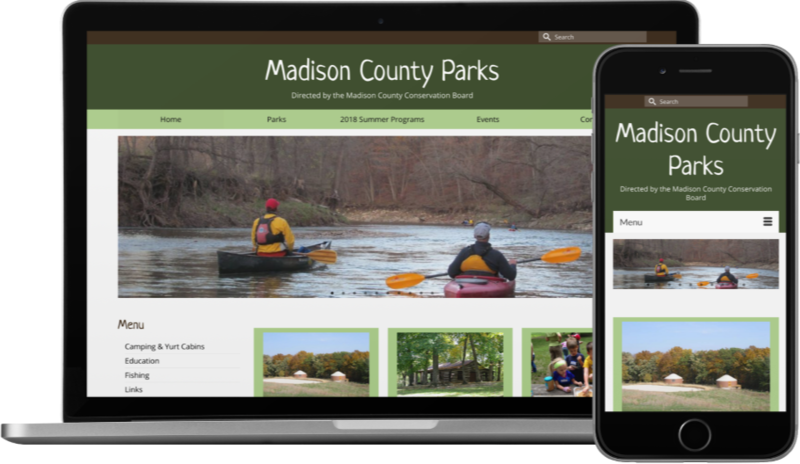 Madison County is rich in natural beauty, and the photos on this site entice visitors to get out and enjoy it by hiking, boating, hunting, fishing and more. This website has lots of content, so it’s very important to have it well organized. This is accomplished with clear navigation at the top and on the left, with several large buttons on the home page leading to commonly visited pages.